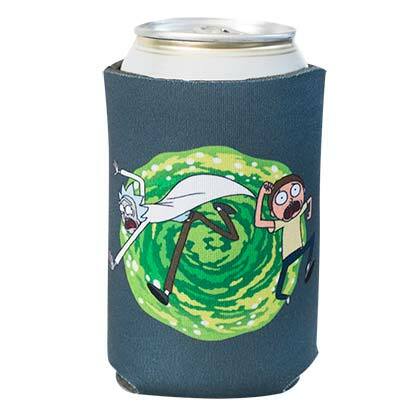 Authentic Rick and Morty beer can insulator. Comes in gray, this insulator features a "Rick and Morty" vortex design and fits standard size cans. Officially licensed.